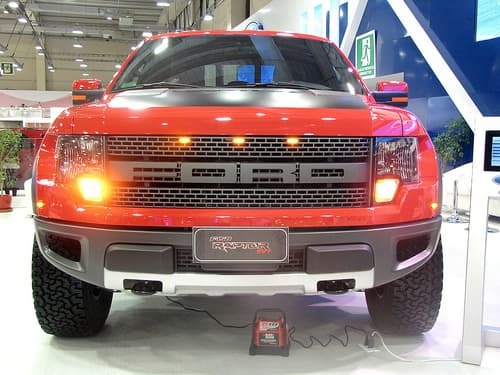 Were you ever fascinated when you witnessed a new innovative look of the Ford Raptor first produced in 2010? The Ford Raptor is an awesome tough-man looking off road truck.Although,what if you could not afford this particular model? Well,there is an alternative.The VWerks Kit provides modification parts that resembles the style of the Ford Raptor. VWerks was developed in 2011 that is continuing to grow more popular. The VWerks package can be applied to any 2013 Ford F-150 Truck. VWerks would be compatible with your Ford even with the specs consisting of a short or long bed,one of the three cab sizes,two or four wheel drive,or any of the engine sizes. While the Ford Rapture currently cost $44,915,you are saving a lot more money by buying a Ford XL or STX and adding parts of the VWerks Kit. Plus,there are no rebate deals for purchasing the Ford Raptor as there is for the XL and STX. Within the VWerks Kit,there is so many options to choose from. It is almost like upgrading your ride on a video game.The possibilities are endless. VWerks starts with a base model of different custom parts that can be upgraded.If the base model selection is not enough for you or you want alternative upgrades,you can also check out the extra options that can also spark up your ride.Some of the base model parts include bedside graphics,Performance Exhaust, Venom Sidesteps,Cold Air Intake Performance Kit,and much more. Whatever the customer feels comfortable with in terms of how much upgrades he or she wants on their truck is what matters.Another great asset about VWerks is that each of their parts offered are all high end quality parts that will not let a customer down. In Conclusion,VWerks has made it efficient and possible to customers in adding and transforming their Ford trucks in the looks resembling the Ford Raptor in every way.